Every June at WWDC, Apple announces a new version of iOS and for some seasoned developers, it can pretty easy to predict which tentpole features Apple will be putting it’s mighty marketing muscle behind when the OS launches that Fall. In 2016, the belle of the ball was iMessage stickers and apps, last year it was ARKit, and this year it will be some shiny new feature designed to make users lust the new iPhone even more! But every year Apple announces some really useful features that go largely unnoticed and/or under utilized by developers. Below are 5 really useful, consumer facing features that can really improve/enhance your app experience, and set your app apart from the crowd. In 2016, Apple announced Rich Notifications — the ability for developers to embed rich, dynamic content in their notifications. For years, and years, notifications — a key tool for developers to re-engage with users — have been limited to (hopefully enticing) text. When rich notifications were announced, it allowed developers to add images, video, and even get interactive, animated, live status updates to reflect real time information. This really allows for a more substantive, and engaging interaction with your users and rich notifications help pull users back into your app. You can learn more about Rich Notifications here. Kuna Smart Home Security is an app that does a great job of using rich notifications. Not only do you get a notification when a camera is activated, but users can actually view live video directly in the notification. Super cool! The concept of “widgets” has been around on iOS for some years now. Since iOS 5, users have been using Apple’s native “widgets” in notification center every day to do things like check stock, their calendars and the weather. From iOS 5 to iOS 7, the widget functionality was limited to Apple native apps — but developers, it’s been years since you’ve been able to the same! Third party widgets were first announced at WWDC 2014 as an iOS 8 feature that allowed users to get updated information about third party apps they love in Notification Center. The Notification Center Today Screen is something that users interact with many, many times each day, so use widgets to show useful information about your app such as movement on leaderboards, countdown to events, scores, etc. You’ll likely get more users back into your app this way. Learn more about widgets here! Here is an example of some of my favorite today screen widgets. Momento, does a great job of bringing timely and relevant moments directly to the widget in an animated GIF that plays inline right inside of the widget, ESPN allows you to quickly check an updated score for a bunch of your favorite teams with just a glance and VICE NEWS displays a beautiful, full bleed cover image of the latest story of interest. Apple has always spent a lot of time and attention making sure that Accessibility features are built into all of their products — and iOS is no different. Great features like VoiceOver, Switch Control and Guided Access are built into iOS and make it possible for users with disabilities to use Apple’s devices. These built in features make it really easy for developers to be able to build app experiences that are inclusive and usable for people with impairments. Integrating features like VoiceOver can be as easy as properly labeling the buttons and UI elements in your app — iOS does the rest. That said, its a bit disappointing (and in my opinion shameful😢) that so few developers are taking advantage of these features. It is estimated that 10 million people in the US have some type of visual impairment so not only is it a great thing to do for inclusivity, but its also good business! By just using a feature like VoiceOver developers can drastically increase their addressable market, and again, there aren’t many developers doing it! Learn more about Accessibility on iOS here. 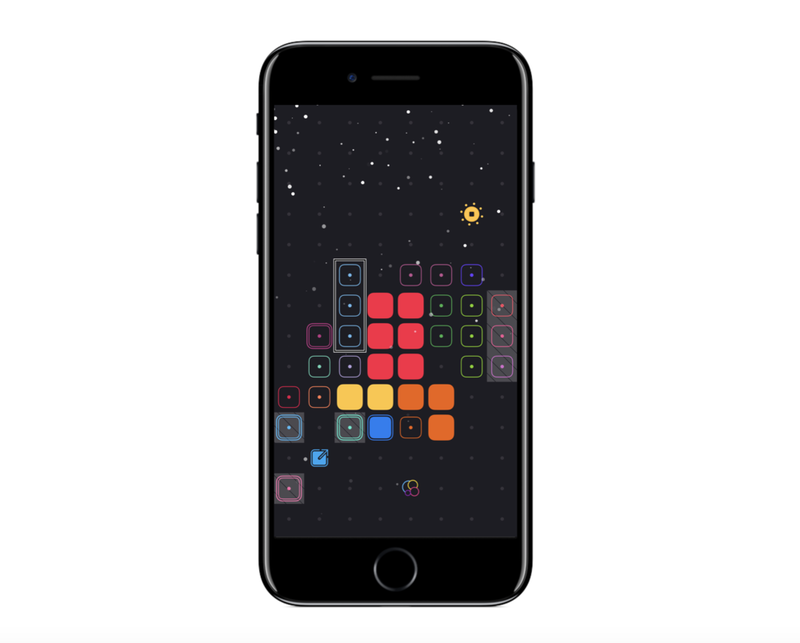 Not only is Blackbox by Ryan McLeod an amazingly designed game, and winner of an Apple Design Award, but it also is fully accessible, taking advantage on iOS’s Accessibility features. For all of the faults of iCloud (yes, I said it 😜), this is one of the features that really helps it shine (bias gamer talking 🙋🏾‍♂️). One of the most painful things that can happen to you as a user is playing through hours and hours of a game and losing all of your progress. This can happen various ways — all pretty common: losing a phone, downloading a game on a new device and deleting an app and reinstalling later. You can save your users a ton of heartburn (and they’ll thank you immensely) if you use iCloud to save a users game state as they progress through your game. This will allow them to seamlessly pick up where they left off rather than throw their phone out of frustration! Its a surprise that more game developers don’t use it! Learn more about iCloud saved states here. One of my favorite iOS games right now, PlayDead’s INSIDE, uses iCloud saved game state to allow users to pick up and play across devices seamlessly. This really makes it enjoyable going from iOS on the go, to playing on iPad at home. Ever get a notification about a real cool item in a game or app and you decide, “yea, I want that!” You tap the notification only to be dropped into the home screen of the app, not really knowing how or where to navigate in the app to get that item? That is happening because the developer isn’t linking you directly to the precise place in the app where that item exist. Not only does this make the users’ life easier, it provides a great experience because it doesn’t confuse or disorient the user. Developers, use deep linking! There are some other cool benefits of using it as well! Check out more info here! Once a user taps a notification from CNN, they are immediately deep linked to the story. Whether you are pulling users back into your app, giving them useful information or just making your app usable for EVERY audience, there are some really great and useful features that developers can use to improve the user experience they give to consumers. GO!